It is February and we are well into 2016, so time for an overdue update. It is now 5 months since shearing, and most of this season’s wool is processed. We are SO EXCITED to have a new product – Luxury Lambswool – a semi-worsted DK yarn made from very carefully selected fleeces from prize ram lambs. 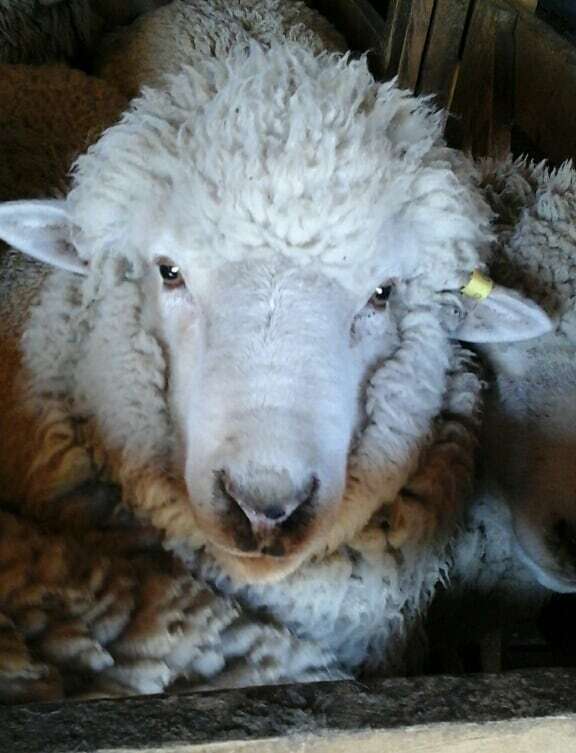 Here’s a pic of Sebastian, the 11 month old ram lamb who posed for the camera prior to being shorn. Luxury Lambswool will be available to purchase from this website in a couple of weeks, when we get the photos loaded. It will be available in some of our most popular existing hand dyed colours. There will be some new colours for 2016, as well.